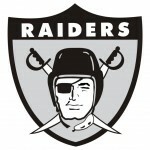 Raiderforums • We going to miss that punter? We going to miss that punter? Supposedly the best one in years. Punters are only drafted in the first round or signed as UDFAs. Raider tradition. I wanted him too but teams don’t ride on a punters back to a super bowl lol. Mayock says this is one of the best directional punters he has seen. And that Bissochia is one of the best ST coaches maybe ever. Townsend is also a baseball player so he is an athlete. "He has a live arm but the best location punter in the draft". 4/26/18: Townsend punted well during the 2017 season, averaging 47.5 yards per punt with a long of 70. In many drafts, Townsend would be the top punter, but a rare prospect like Michael Dickson makes Townsend to likely be the second punter selected. 7/24/17: Townsend was excellent as a junior, averaging 47.9 yards per punt with a long of 62. He was so good, that some NFL teams were doing scouting reports on him because there was consideration that he might declare early for the 2017 NFL Draft. Florida's offense struggled, but Townsend helped the Gators play field position with his booming punts to help his defense. In 2015, Townsend had a quality season for Florida as he averaged 45.4 yards per punt with a long of 61. He averaged 42 yards per punt in 2013 and redshirted in 2014.
vegas34 wrote Sat Apr 28, 2018 12:29 pm: Mayock says this is one of the best directional punters he has seen. And that Bissochia is one of the best ST coaches maybe ever. Former QB and baseball player.... get ready for some fake punts where he throws deep[/quote]All I want to know is ... can he gallop?